Do double-beauty duty with two products in one with Lip Fixation®. 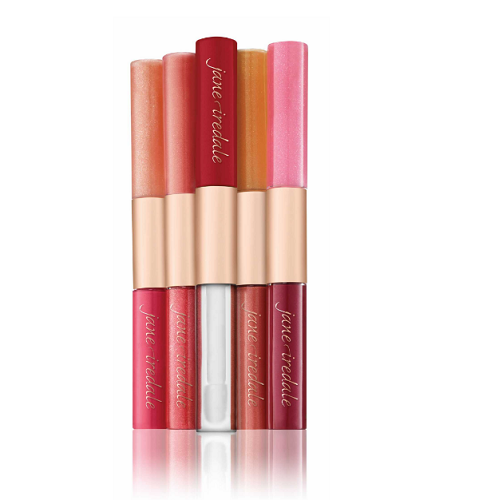 Each jane iredale lip gloss duo boasts a lip stain and gloss in complimentary colors handpicked for the season. Choose between Desire, Fascination, Craving, Fetish, Devotion, and Rapture. 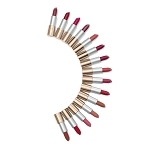 Fortified with the natural plumping properties of ginger root extract and the moisturizing power of avocado oil, these ultra-hydrating, long-lasting shades can go from the boardroom to the beach boardwalk without losing their intensity. 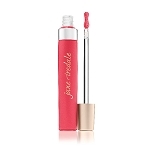 I like this product because it "stays put" and the gloss is yummy and moist. My favorite color is "Fetish". Place the sponge tip applicator directly to the lip and apply. Allow stain to dry. 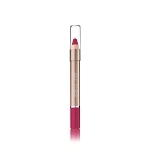 After lip stain is dry, apply a sheer layer of lip gloss directly to lips. Lip Gloss: Avocado Oil, Cocoglycerides, Ginger Root Extract, Jojoba Seed Oil, Beeswax, Carnauba Wax, Ascorbyl Palmitate, Tocopherol, Vanilla Tahitensis Fruit Extract. May Contain: Mica, Iron Oxides.